Among other things, the Palm Tree symbolizes serenity. It creates visualizations of tropical lifestyles, peace and tranquility. 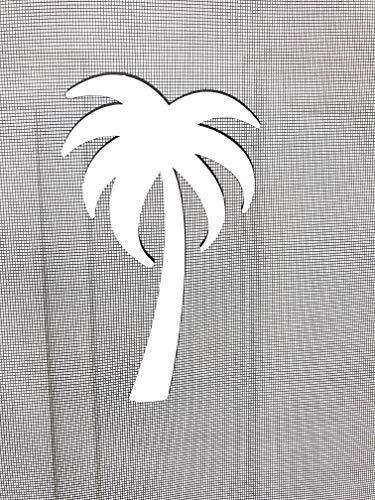 Our Palm Tree also provides safety to help prevent people from walking through your screeen doors. If this is your type of lifestyle then this multipurpose product is for you. Set consists of one back-to-back decorative rubberized magnets, however, there is only one Palm Tree. 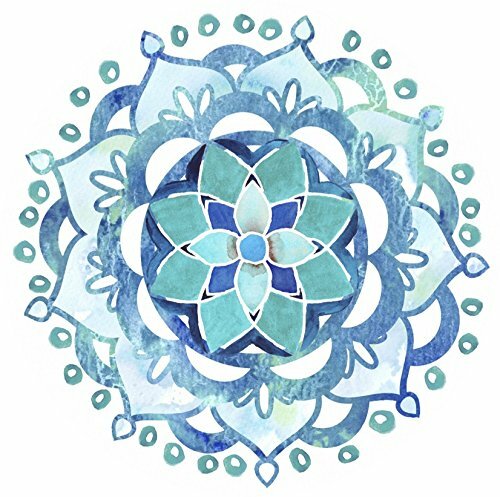 The color of this figure is White. Separate the set and align each piece with screen in between them. 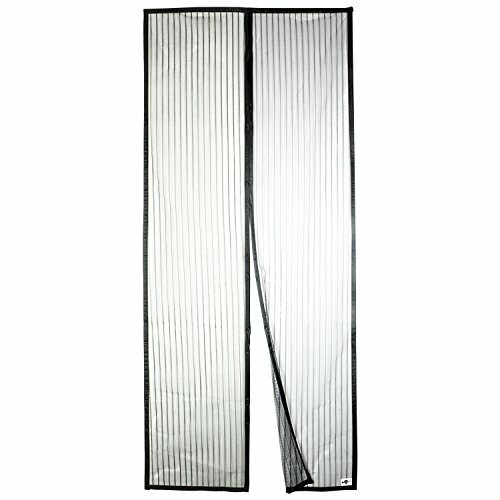 Used typically in screen doors, lanai screen sliders, and patio and garden areas. 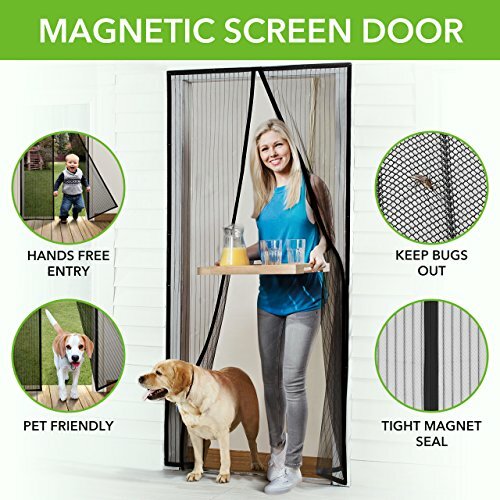 Used primarily as screen decor and serves additional purposes in areas of safety by stopping people from walking into your screen or screen doors. This product is made of rubberized magnetic material so it will not rust while being exposed to outside weather conditions. These figures can be painted should you wish to decorate it. They can be used as regular magnets on many metal surfaces, such as automobiles, file cabinets, refrigerators, etc. .WILL NOT WORK ON ROLLUP SCREENS DUE TO ITS THICKNESS. iT WILL WORK ON SLIDING SCREENS IF THE CLEARANCE IS MORE THAN 1/32". Interesting scenes can be created by using multiple pieces. Keep People and Dogs from running into screens. 2 matching magnets secure together on either side of a screen. Decoration for your porch or patio. Inexpensively mend or repair screens. Great for Housewarming and Gift Giving. This attractive screen door magnet is a great solution for all the problems that arise with having a screen door! 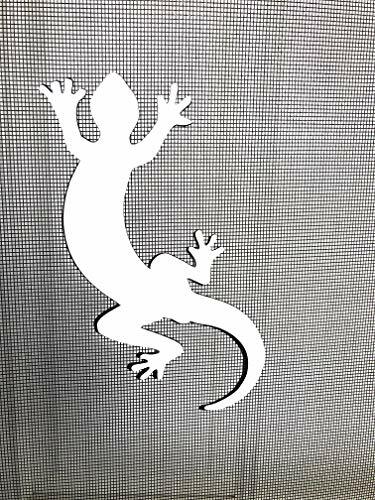 DCentral Gecko Screen Magnet: Double-Sided Decor; for Non-Retractable Screens, Multipurpose, Helps to Stop Walking into Screens, Covers Small tears in Screens. Size 3.5" x 6"
You see them everywhere - your patio, your lawn, sometimes even in your house. Now see the Gecko on your screen to prevent your guests from walking into the screen. He will be there day and night to show the way to safety. 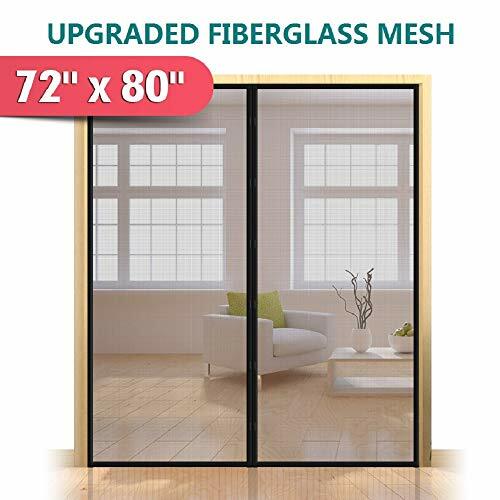 Accentuate your lifestyle while providing safety to help prevent people from walking through your screen doors.If animals a part of your lifestyle, then this product is for you. Set consists of two decorative rubberized figure magnets, however, there is only one figure. The color of this decal is White. Separate the set and align each piece with screen in between them. 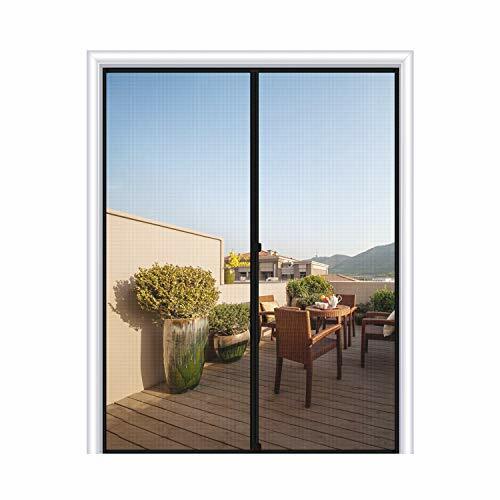 Used typically in screen doors, lanai screen sliders, and patio and garden areas. Used primarily as screen decor and serves additional purposes in areas of safety by stopping people from walking into your screen or screen doors. This product is made of rubberized magnetic material so it will not rust while being exposed to outside weather conditions. These figures can be painted should you wish to decorate it. They can be used as regular magnets on many metal surfaces, such as automobiles, file cabinets, refrigerators, etc. Works on any type of screen including fiberglass. Will not work on rollup screens due to its thickness. Interesting scenes can be created by using multiple pieces. This gorgeous 5.5 Inch Butterfly Decorative Screen Refrigerator Magnet, Multicolor has the finest details and highest quality you will find anywhere! 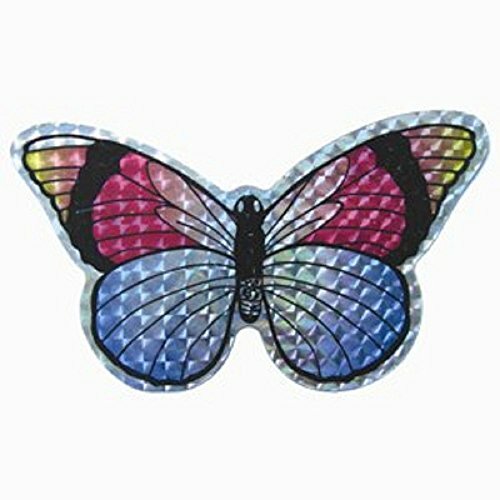 5.5 Inch Butterfly Decorative Screen Refrigerator Magnet, Multicolor is truly remarkable. 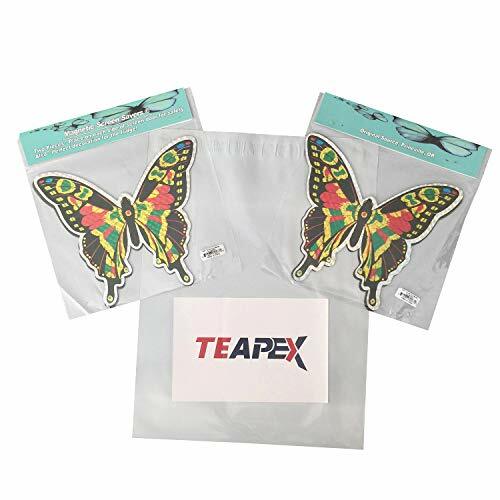 5.5 Inch Butterfly Decorative Screen Refrigerator Magnet, Multicolor Details: Condition: Brand New Item SKU: SS-OS-52069 Dimensions: H: 5.5 x W: 3.5 (Inches) More Information: Eye-catching "metallic-style" magnets adhere to either side of a screen door or window. Also perfect on your fridge. 3 colors available Blue (SS-OS-52067), Orange (SS-OS-52068) and Multi (SS-OS-52069).